May 1st is celebrated as Labour Day or May Day in many countries including India. The day relates to the US labor movement in the late 19th century. On May 1 1886, several labor unions across the US went on strike, demanding a standard workday of eight hours. Though there was not any immediate outcome, it proved effective to bring about eight-hour workdays in many countries across the globe. Thereafter this day was chosen as a day for demonstrations, parades, and speeches. It is a major state holiday in US, Russia and other communist countries. In India, May Day is declared a public holiday. 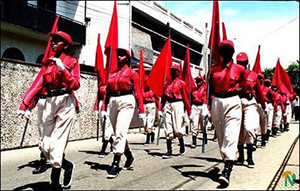 On this day, working men and women partake in marches and parades so as to defend their rights and safeguard their interests. All the labor organizations and trade unions arrange dharnas so that their proposed economic reforms would become effective in a short period. Other than these processions, contests are also put up for children to participate and more importantly understand the bond of togetherness. This way the children could understand the strength of unity, which is the main element of the demonstrations that take place for the Labor Day celebrations. 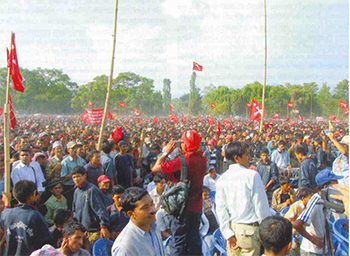 Public speeches are held by leaders of various political parties in order to celebrate May Day. The Labour Day is a special occasion as people worldwide celebrate the true spirit of the working class on this day. It is when workers get together and the strength of unity is spread which indicates how effectively they can struggle to bring in positive reforms for the working class of the society. Now you can send online invitations for May Day to all the members of your labour organization or trade unions. Draft your online invitation with Yoovite.Com and don't forget to include the details of the agenda for the day and also the topic for public speech and so on. Join on May Day and celebrate the spirit of unity and brother hood that workers from all classes must share.